Hand joint pain is most often caused by rheumatoid arthritis or osteoarthritis. 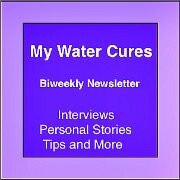 Here we will review each and how the water cures helps end the pain. First Consider This: Russell Andrews, author of Too Big To Succeed said of the greed virus infecting the healthcare system, We have seen..."the morphing of American medicine from a function of a humanitarian society into a revenue stream for healthcare profits, drug and medical device companies, hospitals, and insurance companies. In essence, we have transformed healthcare in the U.S. into an industry whose goal is to be profitable." 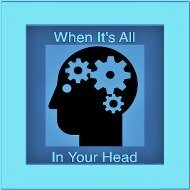 Ask yourself, when profits and not healing are the focus, what does that make you, a patient or a cash cow? To be fair, this is a system problem and is not intended to impeach all doctors. And what do they say about the alternatives? They cannot work because there is no science that says they work. Yet, the science modern medicine uses is bought and paid for by the very companies that are promoting the drugs, treatments or devices. If you are a drug researcher and your job is to find the proof that something works, will you keep your job long if you don't find the outcomes that the employer wants? Further, ask, why are so many drugs pulled from the market every year after they have hurt or even killed so many people? Then Consider: A testimonial from one of our clients, "I thank God for you every day, I no longer have arthritis pain, How come my doctor never told me about this?" Finally Consider: We do not charge for this information. If and when it works, all we ask is that if you can, send us a modest donation. Buy us a bottle of water or two. Maybe a 2 liter bottle of alkaline spring water. That's it. It is that simple. Our success is dependent on your success. If It Works for You, Could You Help Us? *Both the hand joint pain and wrist pain are common symptoms of arthritis in the hands. *In addition to hand joint pain, there may be swelling and stiffness. *Your joints may be warm to the touch. *As the disease progresses, deformity of the joints may happen with RA. *Numbness and tingling in the hands, similar to carpal tunnel syndrome. *What you cannot see: Inside your joint, inflammation is going on. It needs to be stopped to stop the destruction of your hand joints and to stop the hand joint pain. *Arthritis is now affecting children and young adults. 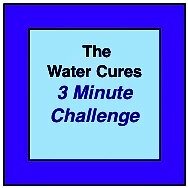 Because rheumatoid arthritis is an inflammatory disease, the water cures protocol is very effective in the early stages of the disease. When the disease progresses to the point of deformity, the water cures may still help provide pain relief. It is possible for repairs to happen but they will take much longer. The reason it helps is the synovial tissue has no direct circulation of blood. It depends on the bodies hydration to maintain lubrication and overall health. The water cures protocol helps provide this lubrication as well as the essential nutrients to maintain joint health. Osteoarthritis often affecting the same joint on both sided of the body also benefits from the water cures protocol. Osteoarthritis, known as wear and tear arthritis, may easily be corrected with proper hydration. The water cures will often reduce or eliminate the hand pain caused by osteoarthritis. 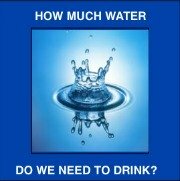 The anatomy of our body that suffers when there is a shortage of water are those without direct circulation. Our cartilage perhaps suffers the most when there is a drought in the body. Our cells, all of which are alive, require hydration to maintain life. As long as they are alive, they keep reproducing new cells as old ones die off. The water and the essential nutrients that are delivered with the water are what keep the cells alive. The chemicals that are traditionally used to treat arthritis actually are counter productive in the long run. When there is a shortage of water, there is a shortage of oxygen. 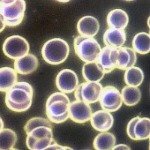 To compensate, the body produces oxygen through a sterile inflammation process. When we take chemicals to relieve the pain and not resolve the problem, they can interfere with this oxygen manufacturing process. Your hand pain is often the result of inflammation. The question science looks for is what causes the inflammation. At water cures, we are interested in what corrects the cause of the inflammation. 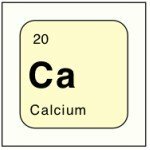 Since there is no direct circulation of blood to the cartilage of the bone ends, it stands to reason that the only way to maintain joint health is to maintain hydration. But it is necessary to hydrate correctly. Drinking water alone will not adequately hydrate your body. To transport the water molecules into the cartilage requires electrolytes and minerals. 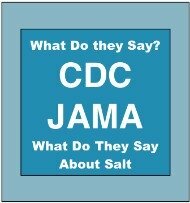 This is why water and unprocessed salt is necessary to maintain and heal joints. This is how it is possible to eliminate hand pain. The electrolytes help the water get into the cells of the cartilage. 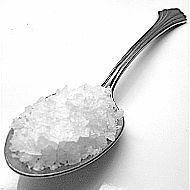 The minerals in the salt help with the overall health of the cartilage as well as helping bone health. Additionally, the salt helps the body get on the alkaline side of the acid base scale. This further helps to eliminate the inflammation that causes hand pain and cartilage destruction.